The CA group has historically invested in a number of different types of businesses. For the time being, five major investments are under management via CA Investment AB. Catella is a leading specialist in property advisory services, property investments, fund management and banking, with operations in 13 European countries. The group has annual sales of about SEK 2.5 billion and assets under management of SEK 186 million. Catella is listed on Nasdaq Stockholm in the Mid Cap segment. CA Investment AB holds 48.4 % of the stocks in Catella AB. • Deep local knowledge in all markets. • Local entrepreneurship and expertise. • Local offices in 20 European cities. • International knowledge transfer and collaboration. • Established in thirteen countries. • Pan-European perspective on investments. • Integrated approach to business opportunities. • Helping international investors in most European countries. • Organisation for international capital raising. • Financing through own bank in selected real estate situations. • Financing through own funds. Catella is a leading real estate corporate finance advisor, specialised in large and complex transactions. The high-quality services combine investment banking expertise with deep local property market knowledge and access to global capital. 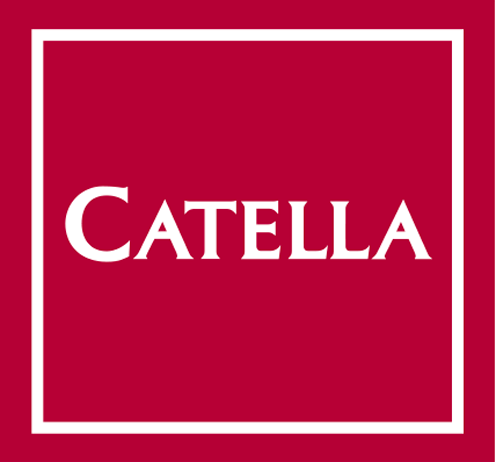 Catella provides real estate companies, financial institutions, property funds and other property owners with strategic advisory services; capital market-­related services and high-end transaction advisory services. The main objective is to create value and profitability for our clients by offering customised financial solutions attuned to the ever-changing market. Catella offers institutional and other professional investors attractive, risk-adjusted return via two service segments: Property Funds and Property Asset Management. Property Funds offers specialised funds with a variety of investment strategies as to risk and yield levels, property type and locations. Through 17 open-ended and special funds, investors gain access to fund management and effective allocation in a variety of European markets, combined with high-level specialists expertise and deep local knowledge. Through the Property Asset Management service segment, Catella offers asset management to property funds, other institutions, family offices and high net worth individuals. Project Management, which is reported within the Property Asset Management service segment, offers investment opportunities in early-phase development projects, where Catella identifies land and property development opportunities, arranges project financing, is involved in co-financing and executes sale when building permission is obtained. Catella create value in all phases of the process – from identification and acquisition of projects to financing, strategic management and, ultimately, sale. Operations are run by local teams across Europe who together offer Catella’s clients comprehensive knowledge of local property markets combined with European reach. Catella is a leading independent fund manager in the Nordics, offering actively managed Mutual Funds with a Nordic investment focus to private and institutional investors. Catella also offers Systematic Funds with low correlation to other asset classes and high risk-adjusted return to institutional investors. Third-party distribution is central to Catella’s sales of funds to consumers. The strategy towards distributors is to offer a high level of service and an extensive portfolio of attractive products as a main alternative, a complement, or a building block in another pro­duct. In addition, Catella regularly evaluates opportunities for wider direct distribution offered by progress in digital technologies. Catella is also developing its own distribution, primarily towards institutions, but also companies and private banking clients. Catella enjoys a strong position in the Systematic Funds niche. Institutional investors from all over the world are choosing to invest in these globally competitive products. Systematic funds are managed with the support of statistical models, where “big data” from all over the world are compiled and form the basis of strategies with historically profitable outcomes. Catella Bank offers financial services and tailored solutions to high net worth individuals in Europe, as well as customised card and payment solutions to international banks and online merchants. We generate added value for clients and shareholders by working closely with clients and meeting their speci­fic needs. The bank is domiciled in Luxembourg and has a branch office in Sweden. Within the Wealth Management service segment, Catella Bank offers high net worth individuals in ­Europe a wide selection of financial services and tailored solutions in investment advisory services and asset management. and non-listed companies, management of Nordic equities, bonds and hedge funds, deposits and lending and wealth planning. Catella Bank has the expertise and networks required to assist its clients regardless of where in Europe they live. The bank has its own sales and management organisation and an international network of advisers. BZK Grain Alliance AB is an agriculture business in Ukraine with a total volume of 55,000 hectares of land located in five regions east and north of Kiev with a maximum radius of approximately 200 km from its headquarters in Berezan. The crops which is mainly produced is corn, soy, sunflower and wheat. CA Investment AB holds 80 % of the stocks in Grain Alliance AB. BZK Grain Alliance AB is a modern agricultural producer with fields in the central parts of Ukraine. The company is founded based on the analysis that the global population is growing rapidly and is estimated to rise from current 7.6 bln people to over 9 bln in 2050. At the same time the arable area is limited, thus each available hectare of agricultural land has to feed more and more people. To make things more precarious global consumer patterns are also changing due to the economic growth and improving standards of living in developing economies. People with an improved standard of living want to consume more meat and dairy products, which also drive the global food consumption. The development has created new opportunities within the agriculture sector, especially in countries with low cost of land and labor with developed road, railroad and port infrastructure. 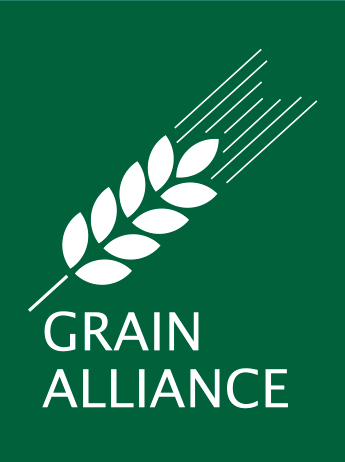 These are the main assumptions behind the investments into Grain Alliance. Ukraine meets all criteria; it has the most fertile soils, the so called black earth, in the world. In addition to this Ukraine has a well developed infrastructure with over 23,000 km of railroad and 18 sea ports along the black sea and the sea of Azov coast line. The geographical location of Ukraine is also favorable, with a close proximity to the major importer markets of the world; Africa, Asia and the Middle East. Currently the company controls some 55,000 hectares, of which 53,000 hectares are cultivated, in five regions; Kyiv, Cherkassy, north and south Poltava and Chernigiv. Each region is cultivating approximately 8,000-18,000 ha. The business is well-integrated with short distances to fields and storage facilities. Grain Alliance has six grain elevators, four of which have rail road access, with a total capacity of 259,000 tons. The storage, elevators, gives the company the opportunity to sell when prices are ­favorable. The core of Grain Alliance has over 15 years of successful large scale farming, achieving yields well above the Ukrainian average. In May 2008 CA and some other minor shareholders entered into the company via a new share issue. The new constellation bought out one of the two existing partners and under CA’s active ownership the company was restructured and enhanced, thus creating a solid platform for further growth, expansion and development. Since then the company land bank has grown in average 5 % per year and the profitability has increased substantially. Because of the Grain Alliance´s strong financial performance, the company has been able to cultivate a more complex set of grains, such as corn, soybean and sunflower, which require more working capital but renders higher margins. The investments into storage have enabled the company to store and time sales better. Despite the fact that the last years has been difficult for Ukraine, Grain Alliance managed to generate healthy profits and the financial position of the Company is still very strong. The outlook for Grain Alliance is positive and the Company aims to further expand the cultivated area and improve the production methods. CA group ownership interest in BZK Grain Alliance is 80 % by the end of 2017. 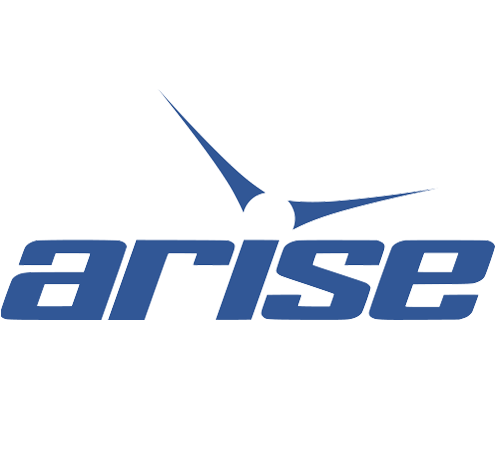 Arise AB (publ), listed on NASDAQ OMX Stockholm, is one of Sweden´s leading onshore wind power companies.The company’s business concept is to develop, build and manage wind farms for its own and investors´ account with the aim of selling electricity produced by onshore wind turbines. CA Investment AB together with members of the Claesson family holds 12.7 % of the stocks in Arise AB. Arise is an energy company with the resources and experience required to handle the entire value chain. From planning, permit applications and wind measurements, to the construction and management of a wind farm for a period of 25 years or more. Our business concept is to produce and sell self-­produced, renewable electricity and to construct and operate wind farms on behalf of others. Arise´s operations are fully integrated, which implies that the Company has control over the entire value chain – from prospecting and concession manage­ment, to the construction and operation of the turbines, as well as to the sale of renewable energy. In addition, the Company handles the sale of construction-­ready projects and wind farms in operation to external investors. Systems for analysis and follow-up systematic processes and the Company´s extensive experience in wind power development ­allow us to ensure high quality, availability and electricity production in both our wind farms and those which we manage on behalf of external investors. Our industrial approach is contributing to a rapid and cost-effective transition to a long-term, sustainable energy system in Sweden and other countries in which we operate. The Company´s overall goal is to provide its shareholders a good return in the form of dividends and capital growth through efficient ­financing, management, operations and project development in the field of renewable energy. Our strategy for creating capital growth entails our short-term focus is on cash flows rather than on growth in our own production capacity, and involves, among other things, the sale of a small portion of our operational assets. The capital thereby freed-up ­will be primarily used to reduce the Company´s net liabilities and interest expenses and, by doing so, the Company´s financial position and cash flows will be strengthened. Furthermore, we intend to ­generate further income by regularly selling construction-­ready projects, including construction management and operational management, to investors. We remain steadfast in our belief that the ownership of wind power assets represents a smart and profitable strategy, and our long-term ambitions is, therefore, to increase our in-house production capacity. We will accomplish this by means of investments in new, ­fully, as well as jointly-owned projects where Arise will supply efficient construction and operational mangement for the projects. The equity investment required for continued, long-term expansion will be financed through the Companys´s own cash flows. We believe that an effective means of creating positive cash flow and capital growth, in both the short and long-term, is to generate income from a combination of sources including project development, management and the sale of in-house produced electricity. Through associated company Nordic Seeding GmbH, CA has investments in property development projects in Germany. The projects are operated by Catella Project Management GmbH. 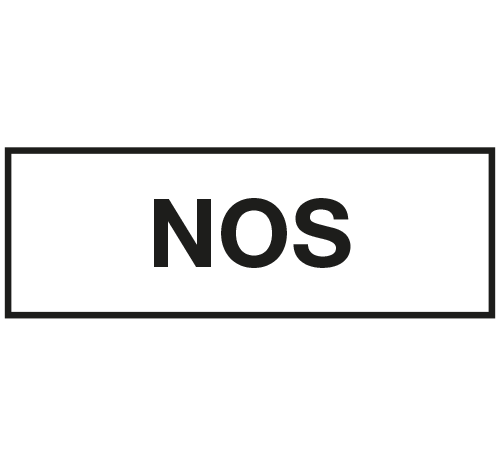 Nordic Seeding GmbH intends to invest in the early phase of projects, where the concept and framework are determined with the aim of subsequently divesting projects and realizing any gains before construction begins and the projects are completed. CA group ownership interest in Nordic Seeding is 40%. At year end, Nordic Seeding GmbH had investments in different phases in projects, in Frankfurt, Düsseldorf and Mönchengladbach. The largest project is the “Grand Central” in Düsseldorf, a 114 000 sqm mixed development adjacent to the central station. This project is undergoing zoning, expecting a non-appealable decision by the end of 2018. 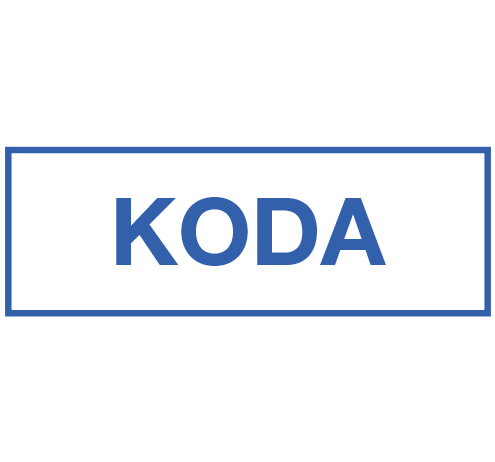 KODA Exploration is an independent oil and gas exploration and production company that operates in the Eastern Colorado plains. The company holds approx. 40,000 acres of mineral rights and some further farm-in contracts. Its first drilling activity is planned to commence in early 2019. The CA Group holds 80 % of the company´s stocks.